It’s not often I have time to step outside my own genre and read things outside my norm. But I was finding myself stuck in the middle of my current work-in-progress, so I went on a bit of a reading binge these page couple of weeks. I am so glad I did! I happened to stumble across two gems in Young Adult fiction. 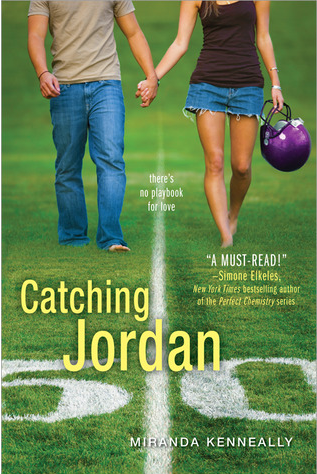 Catching Jordan is the story of a young lady who plays quarterback, and she has some issues with her family that really tugged at my heartstrings. 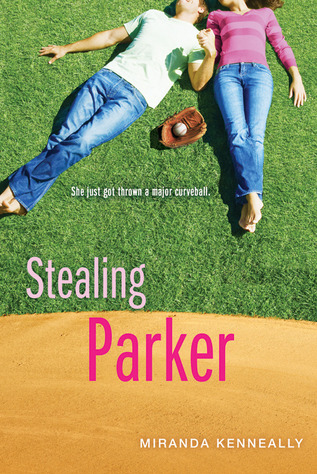 Stealing Parker also has a sports them, but this time it’s baseball. Parker is trying to prove to the world she’s not gay like her mom, and she works hard at kissing lots of boys to prove her point. But the right boy saw straight through her, and this was a joyous coming of age story with enough strife and angst to keep me from putting it down. Egads! I was forced to read it in one setting. I’m not sure if these books spoke to me because I’m a mom of boys and have spent more time on the bleachers than anyone would ever suspect. Or if it was the superb story telling, with deep themes. I highly recommend them, and Miranda Kenneally now has a fan for life. I’m counting the days until the next book comes out. Next postRegency Feud – You can enter to win!